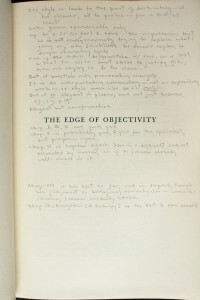 Two copies of Charles Gillispie’s The Edge of Objectivity stand side-by-side on a shelf, one previously belonged to Ernan McMullin the other to the retired historian of science. I have read neither copy. 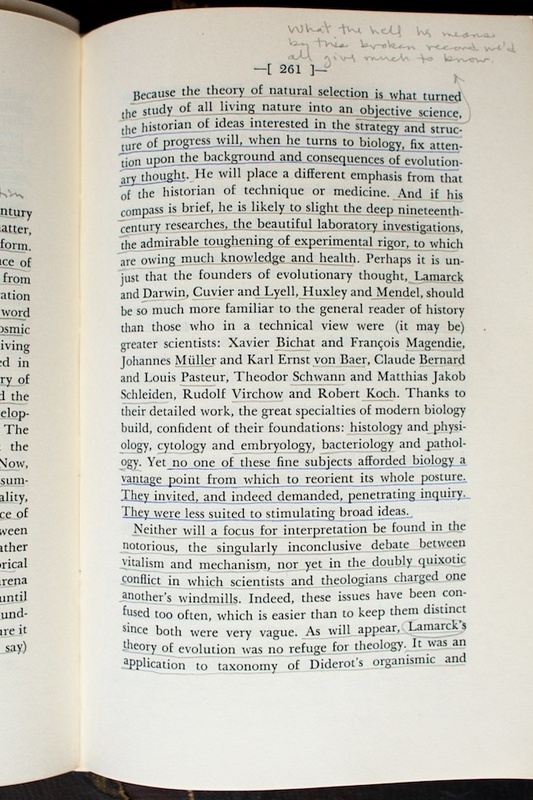 Ernan’s marginal critique pales in comparison to the detailed and somewhat schizophrenic praise-condemnation that spills across the margins of the other copy. He then reproduces the diagram from Dijksterhuis’s book illustrating the law of refraction. 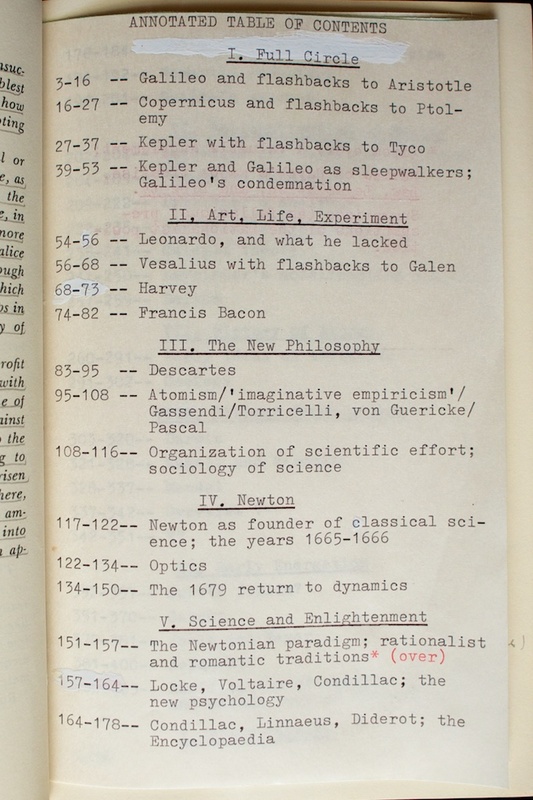 At times he even added explanatory notes to his own marginal notes. 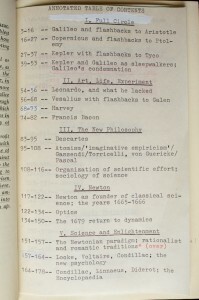 “Objective science” was a particularly troublesome term. Whatever his problems with Gillispie’s book, it didn’t stop him from reading it carefully and compiling his own “Annotated Table of Contents,” which he glued into the book directly in front of the printed table of contents. 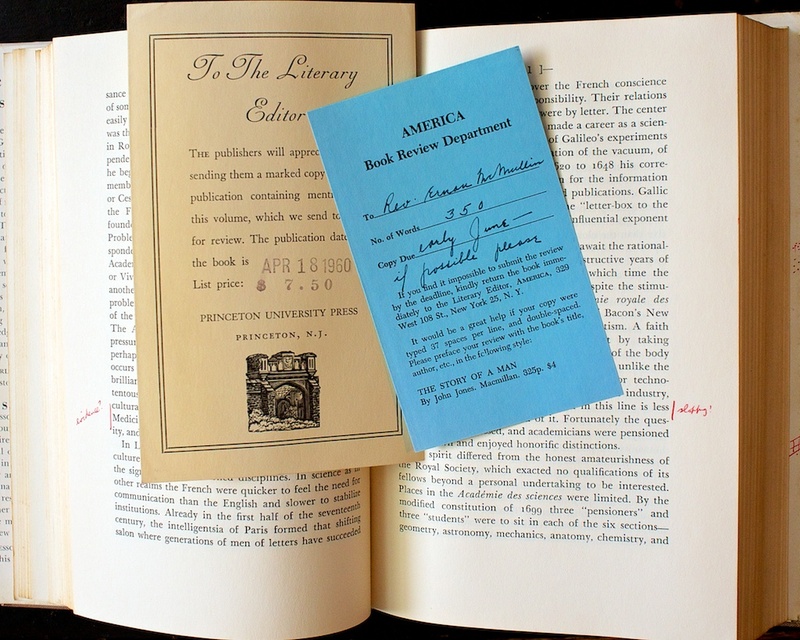 The annotated table of contents was glued into the book, just in front of the table of contents. Although beautifully written, perhaps too clever and poetic. Its style is lush to the point of distracting—all too cleaver [sic], all to [sic] poetic—for a text, at least. One of the main difficulties w/ this, as a text, is that the instr. must strive to justify gill., even w/o saying so to the class. But it bristle’s [sic] with provocative insights. 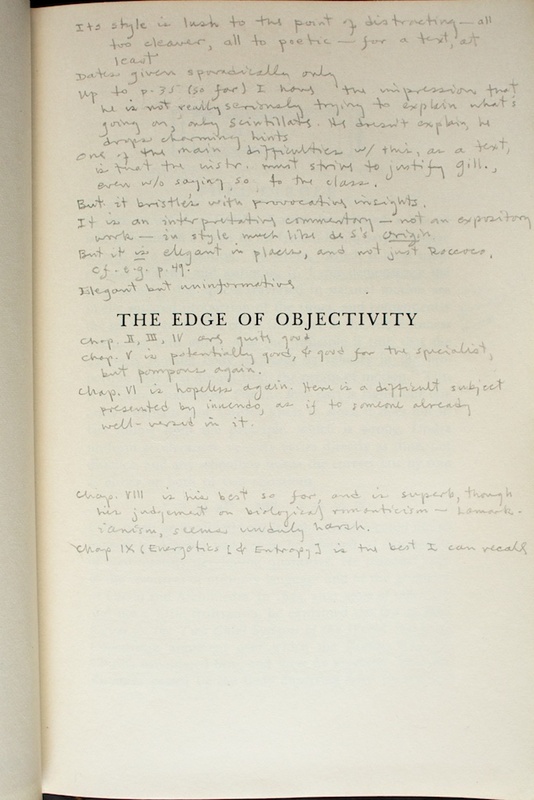 It is an interpretative commentary—not an expository work—in style much like de. S’s Origin. But it is elegant in places, and not just Roccoco [sic]. Chap. V is potentially good, & good for the specialist, but pompous again. Chap. VI is hopeless again. Here is a difficult subject presented by innuendo, as if to someone already well-versed in it. Chap. 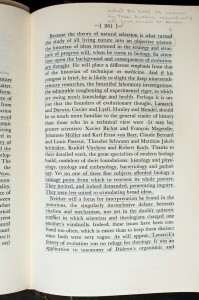 VIII is his best so far, and is superb, though his judgement on biological romanticism—Lamarckianism, seems unduly harsh. I can’t help but admire his exhaustive and at times exhausting digestion of a text.